Rancher’s Choice Champions brand pet food is owned and manufactured by Consumer Supply Distributing Company of Iowa. Before 2002, CSD was mainly a manufacturer of feed and vitamins for livestock. Since 1956, the company has worked hard to supply quality feed for livestock and looks to carry on that tradition with a line of pet products. All items are manufactured by CSD in its Iowa plant, and currently the pet food is difficult to find outside the Midwest. 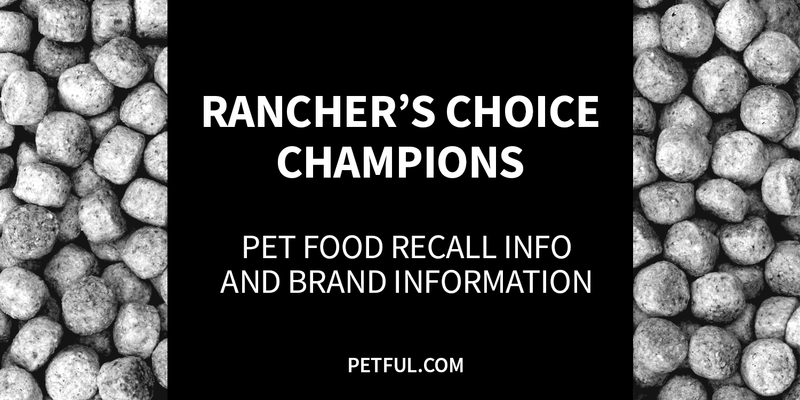 Company: Consumer Supply Distributing Co.
Has Rancher’s Choice Champions Ever Been Recalled? Have You Had a Problem With Rancher’s Choice Champions?